Kimberley Pharmacy Services are Australia’s best! Kimberley Pharmacy Services of Broome are the 2015 QCPP Pharmacy of the Year champions. 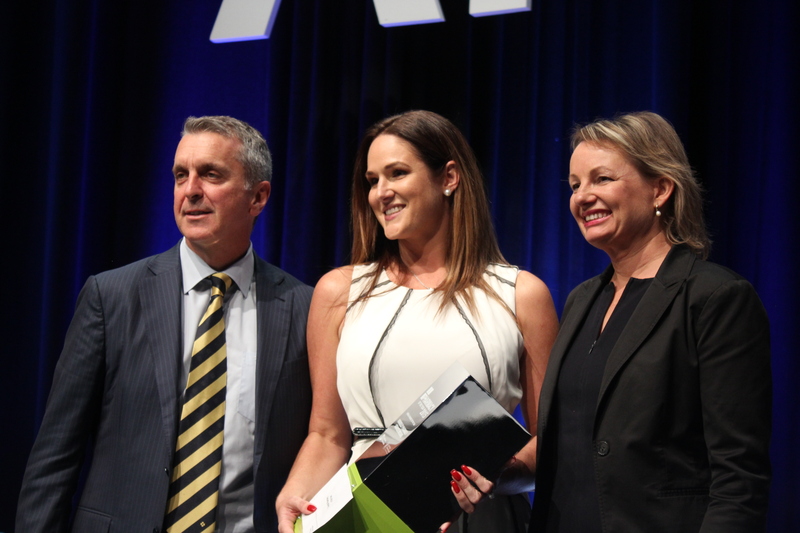 Kimberley Pharmacy Services was named the overall winner of the competition at the Australian Pharmacy Professional conference (APP) on the Gold Coast, with the award presented by the Federal Minister for Health Sussan Ley. 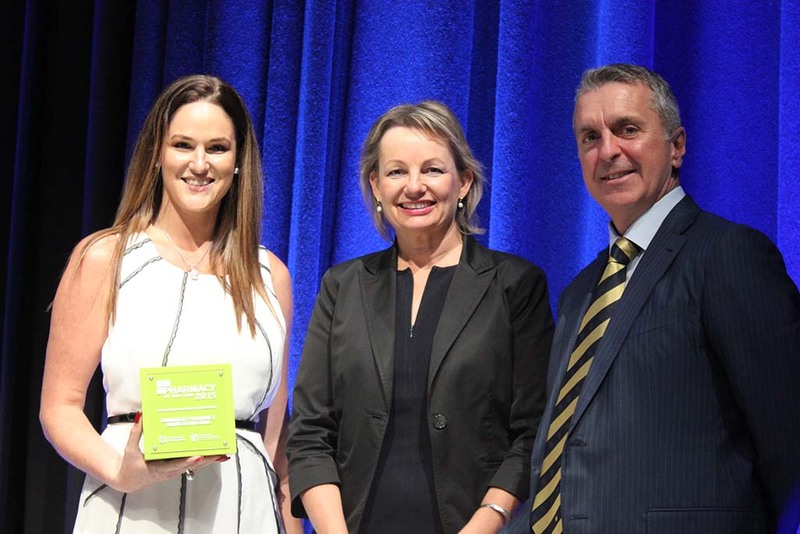 The remote area pharmacy had earlier won the Excellence in Community Engagement category, before being judged to be the best pharmacy of the 2015 competition. Owner pharmacist Hannah Mann accepted the award on behalf of her team. One of the judges of the competition, Victorian pharmacist Bill Scott said: “When we went to Broome, I was just astounded that anyone would go to the lengths of difficulty that Hannah went to in that pharmacy to actually look after the remote and Indigenous community to a level that you would be proud of if they lived next door to the pharmacy. The overall winner and the category winners share in a cash prize, receive a stylish trophy to display in their pharmacy and a professional in-pharmacy photo shoot. The overall winner was deemed by the judges to be the pharmacy that stood out among the finalists and demonstrated achievements across each of the three categories. This year has seen a strong competition, with a tight field producing three worthy winners. The Pharmacy of the Year competition is proudly sponsored by the Quality Care Pharmacy Program, QCPP.